If the answer is not “YES!” … keep quiet. Spring is here and it is a time of re-birth, renewal and of course all my favorite vegetables. 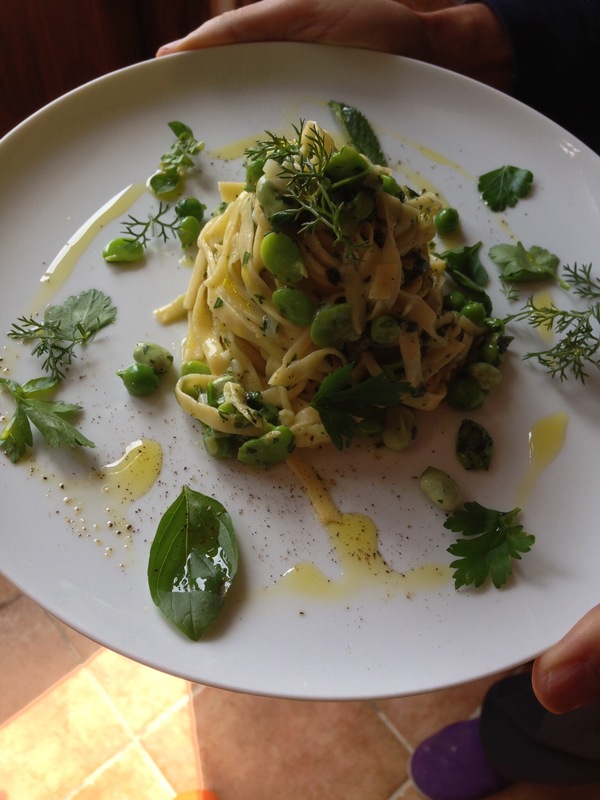 I brought home the first fava beans, spring peas, spring onions a nice piece of young pecorino and of course some fresh herbs. I was not sure what I would make, but those were the flavors I craved. This morning, my neighbor brought me a dozen eggs her hens had just laid. The hens roam freely behind our house and the rooster who keeps them all happy happens to be our alarm clock. 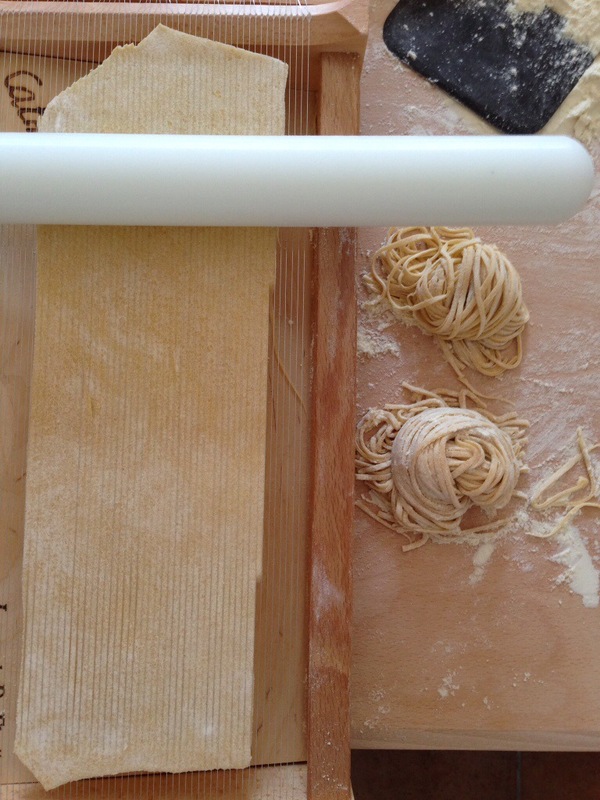 So eggs in hand I decided to make fresh pasta… You know the drill: 100 gr. 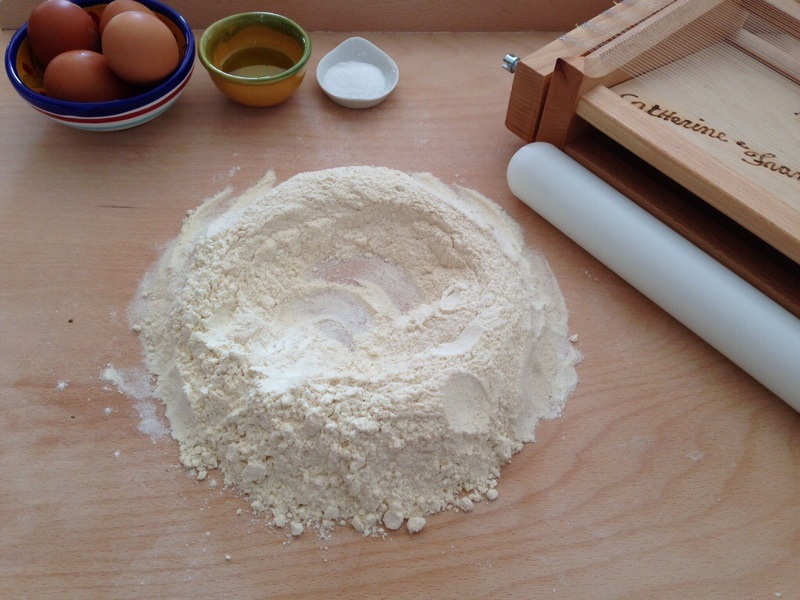 durum wheat flour to 1 egg, a pinch of salt and a drizzle of olive oil per person (I used stone ground durum flour from Marino, a solar powered organic farm I love). The sauce is fast and easy. 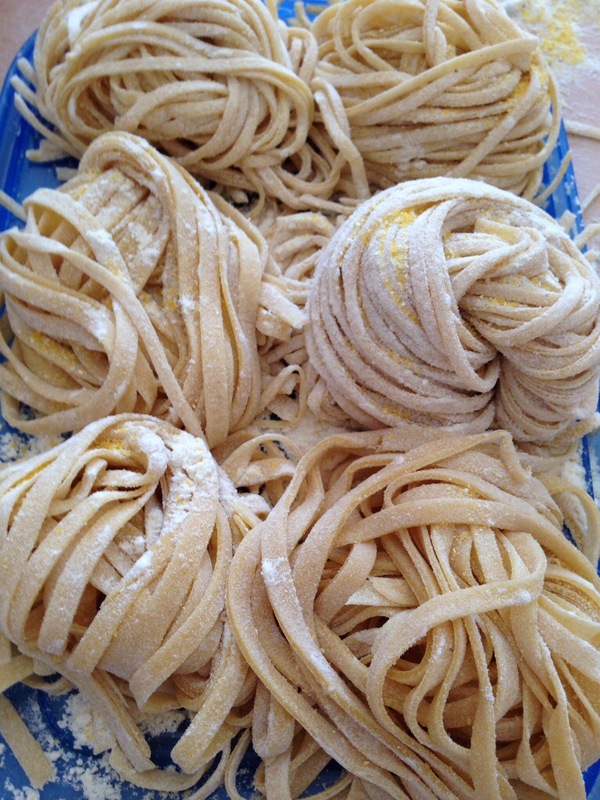 Bring a large pot of water to a boil (for the pasta), add salt once it boils. 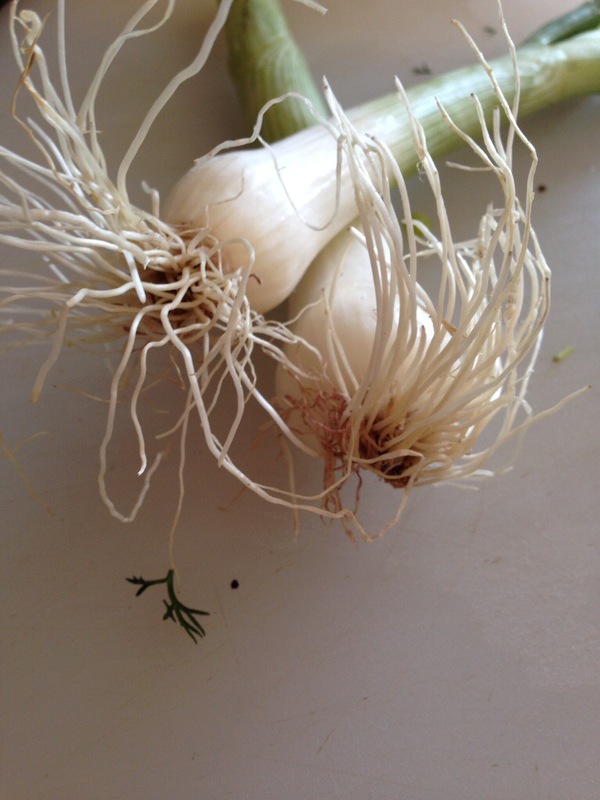 Slice 2 spring onions and cook them down on a low flame with some good new olive oil. 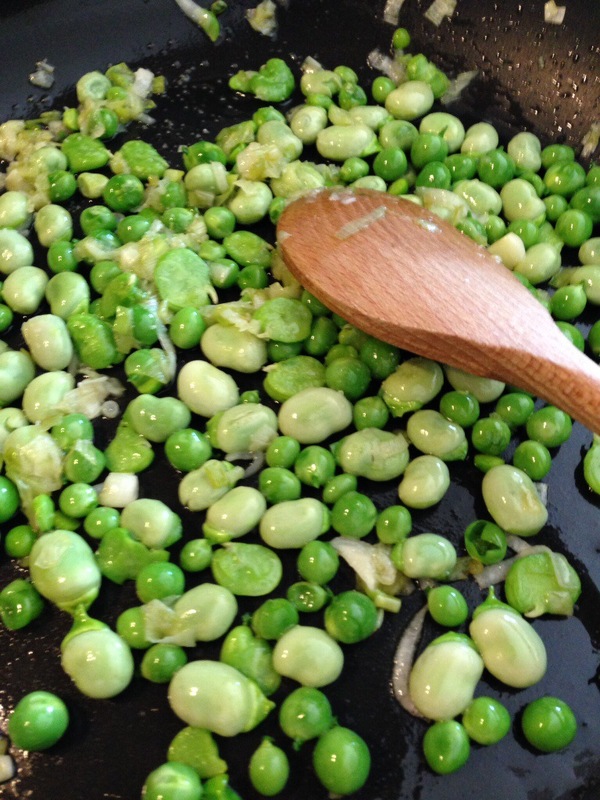 Add the peas, cook for 3 minutes, then add the fava beans (peel the larger ones) cook for another 2-3 minutes. In a bowl whisk an egg yolk with some grated young pecorino, fresh pepper and a generous amount (about a cup) of chopped herbs (I used wild dill, mint, parsley and basil). Add a ladle full of cooking water and stir together to bring out the flavors. Cook the pasta 2-3 minutes and add to the sauté pan with the onions, peas and fava. (before you drain the pasta, reserve some cooking water). 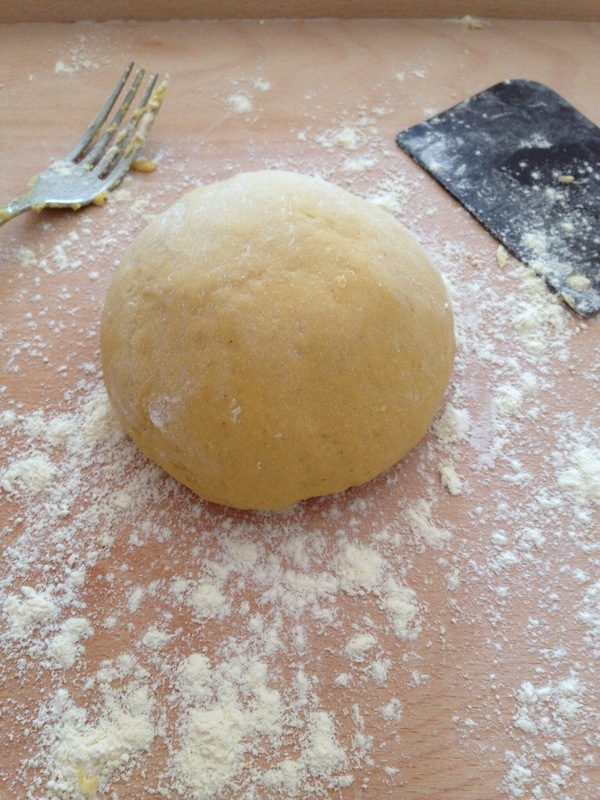 Toss for a minute and add to the bowl with the egg and herbs mixture. Add cooking water if necessary to obtain a nice creamy sauce. That’s it. I promise a wonderful, fresh, delicious, beautiful, spring lunch! I am sooo happy that you have returned to my life. Please tell me where you are, what you have been doing and I shall do likewise. I think of you often and still remember the wonderful birthday meal we had at Vini e Locandi. Such lovely memories. Out birthday girl got married this summer and is as happy as anyone has a right to be. Mike is a prince and adores our daughter. Can we ask for anything more? Good to hear from you. Will send you am email filled with updates! Your gorgeous inspiration and words were missed! Welcome back love! Thank you! Your blog looks fab!